Who doesn’t like a good dose of high-quality streaming content every now or then? Streaming services have seen a huge boom in the last five years or so. And to accommodate the increased interest in the online consumer market, streaming services have expanded their range of services. Now they also broadcast live TV events along with famous movies and TV shows. The best streaming services at the moment are without a doubt Netflix and Hulu. But they aren’t much good if you are not interested in US content. Especially if you are from India. Let’s clear up where we are going with this. If you want to consume Indian content abroad then there are hardly any better choices than Hotstar. In fact, we don’t know of a single option that can even match Hotstar, let alone surpass it. According to some sources, Hotstar currently offers streaming content that is as big as 50,000 hours of pure entertainment. Moreover, Hotstar offers content in over 8 different languages. It is a subsidiary of the brand we know as Star India. 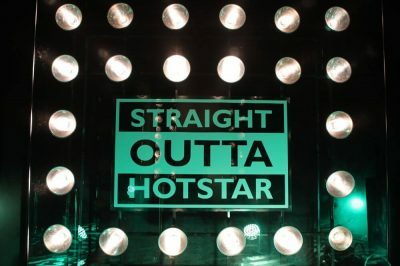 What Does Hotstar Actually Do? Hotstar is India’s premium streaming service. It is a streaming service just like Netflix. It has a ton of Indian content. It has a ton of US content as well. We’re talking about TV shows as popular as Game of Thrones and what not. You can watch all the latest movies on Hotstar without any geo-restrictions. Add to that list a number of international sports events too. With a Hotstar subscription, you will never miss a football match again. And Hotstar does one you better. It offers its content on all major platforms. Okay, maybe not that great. But if you continue reading, you will surely, eventually, believe in Hostar’s quality as a streaming service. There is a reason why Hotstar has become the number one fan-favorite streaming service. It also acts as a high-quality on-demand online entertainment service for millions. So what is stopping you from watching Hotstar? Geo-restrictions that stop online users from accessing Hotstar outside India. If you want to watch Hotstar outside India then you need to this guide right here and right now. Why Is Hotstar Content Not Available In India? Why Can’t I Watch Hostar Outside India? There is a simple answer to both those questions. Hotstar, after everything’s said and done, is an online streaming service. And just like all the rest of the streaming services, it enforces geo-restrictions on its content. 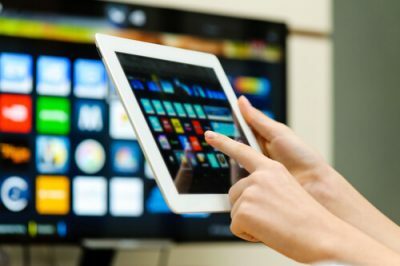 All popular streaming services such as Netflix and Hulu make use of geo-restrictions. It helps them to serve “their” customer base more effectively. And they can avoid all the legal troubles that come with not having geo-restrictions on one’s content. Hotstar, just like Netflix, has content distribution agreements with different parties. It can’t show all its content everywhere. Because of that, it has to manage its coverage. And that “management” leads to people not being able to watch Hotstar outside India. It doesn’t matter which other country you live in. and you still wouldn’t have the facility to watch Hotstar outside India. Who would have thought accessing an online streaming service could present one with so many problems. What Happens When You Try To Watch Hotstar Outside India? If it is cricket you want then it is cricket that you’ll get. If a user goes to the official Hotstar website and tries to watch Hotstar outside India, he/she would get an error message. The error message would convey to the user that the content the user is trying to access is not available in his/her region. The obvious question that comes out of this scenario is how to watch Hotstar outside India. As it turns out, there are many ways to watch Hotstar outside India. But we’ll only discuss the ones that are the most effective and proven. So let’s start with the first solution. We want you to use a VPN service to watch Hotstar outside India. That is the easiest and most cost-effective method to ensure that you can watch Hotstar outside India. It is one of the best tools for people who want to bypass geo-restrictions. Well, VPN services have the ability to change the user’s original IP address. They achieve that by cloaking the user’s real IP address. A good VPN service provider usually allows users to change their IP address to any other country they want. Hence, you should sign up for a VPN service provider that allows you to connect to an Indian VPN server. That way you can watch Hotstar outside India. Now, the market is full of VPN service providers. A lot of them are good VPN service providers. And a few are scams. Lucky for you we have gone out in the wild and have picked the best VPN service provider you can use to watch Hotstar outside India. That VPN service provider is IPVanish. IPVanish is the best VPN service provider if you want to watch Hostar outside India via the most smooth streaming experience possible. Of course, there are other alternatives as well. Step By Step Guide For How To Download The Official Hotstar App On The iOS. Star India provides content on all devices and platforms. In other words, Apple TV but outside India. Let’s address a specific user need here. How do you get the official Hotstar app on your Apple TV, iPad and/or iPhone if you live in countries such as Canada, UK and/or the USA? Count Australia in there too. Well, you will need to get yourself an Indian Apple ID. That doesn’t mean you’ll have to go through an application process at your local embassy. But you will have to create an account. First, regardless of the fact if you are using a Mac or a PC, log out of your official iTunes account. Then look at the bottom section of your store. There, change the region to, you guessed it, India. You can do that by selecting the Indian flag. The iTunes application will now ask you to create an official account. It will also offer you the official “no card” option. Take that option and then create a new account. Choose a suitable username and create a strong password. For the next step, you must get an Indian Address. Go to this site if you want to generate one right now. Turn on your iOS device or Apple TV, then go to your iTunes account and log out. You can do that from the settings menu. Now you are free to download the official Hotstar app on your iPad, iPhone and/or Apple TV even when outside India. Game of Thrones fans are everywhere now. And since winter is coming, why not watch Hotstar outside India and catch up on all Game of Thrones latest episodes. Lucky for Hotstar users, Star India has managed to acquire the official rights to broadcast HBO’s greatest TV series of all time, Game of Thrones. That means that now you can watch full episodes of Game of Thrones latest and greatest season seven without running into any legal problems via Hotstar. Of course, you will first have to sign up for a premium account with Hotstar. Hotstar didn’t always have a premium service. The streaming service introduced the premium account just recently. For those who just want to try things out, Hotstar offers a full one-month free trial. With the free trial, you can enjoy all of your favorite shows with some restrictions. For example, the trial period offers you the first four episodes of Game of Thrones. Considering that you don’t have to pay Hotstar a single dime for those episodes, we would wager that is a pretty sweet deal. What does the package cost on the whole? The premium Hotstar account will cost you around $3 per month. That comes down to about 200 Indian rupees. In other words, Hotstar is cheaper than any other streaming service of comparable content library and quality. We are certain that you won’t find such a deal from any of your cable TV providers. Having a premium account does that mean that you won’t have to deal with geo-restrictions. Hence you will still need to find a way to know how to watch Hotstar outside India. If you don’t, then you won’t have the opportunity to watch Game of Thrones via Hotstar either. Again, you’ll need the help of a VPN service. A VPN service will unlock everything for you. We have already told you the VPN that we recommend. With IPVanish you can watch Hotstar outside India all you want. You can also watch full episodes of all the hit US TV shows from any place in the world. Everything that a TV can offer you, Hotstar can better. So log in. Plenty of people from India, or otherwise, love to watch football online. And Hotstar is one of the very few streaming sites that have content for all types of people. With a Hotstar subscription, you can not only watch TV series and movies but also sports. Hotstar doesn’t just provide you with a cursory coverage of sports events. It has a rather large library of sporting events. Hotstar also offers you entire matches. Along with replays and highlights from several different football games every season and live. Hotstar offers live sports via its streaming services. Again, you must subscribe to Hotstar’s premium account in order to view all the premium sports content. Let’s also discuss something else. What if you want to watch Hotstar outside India? Again, no football content for you. And again, geo-restrictions will stop you from consuming all of your football club’s fixtures and derby games on Hotstar. You don’t have to worry about that problem too much though. Because we have already told you the solution to it. It is again, a VPN service. And again, IPVanish is the one that we recommend. If you have a good VPN service then the process of watching football on Hotstar outside India becomes very simple. First, download the VPN service provider’s official VPN app for the platform of your choice. If you chose IPvanish then there is further good news for you since they support all major platforms and operating system. Then you have to install the app on your streaming device. Then you have to connect to a VPN server that is located in India since you want to watch Hotstar outside India. If you follow above steps down to a tee then you should have no problems when trying to watch Hotstar outside India. Now you’ll find it enjoyable to track your favorite BPL team’s fixtures and results. Want to know what happened to the title race between Manchester United and Manchester City? Tune in to Hotstar and find out. And they do not come bigger than a Pakistan India Champions Trophy final. If you are new to Hotstar then you must know that Hotstar indeed broadcasted the biggest game of cricket for the year 2017. The ICC Champions Trophy 2017 is the biggest cricketing prize after the World Cup. And this year we saw Pakistan and India making it to the final. Needless to say, experts considered a mammoth match. It took place on June 18, 2017, at the well known The Oval cricket ground in London. Hotstar also broadcasted the thrilling group stage matches. The 2017 edition of the ICC Champions League gave the world the biggest shock in cricket when Pakistan, against all odds, made it to the final. And most of all, it had to beat India in the final to win the trophy. But both teams had also faced each other in the group stages. In that match, India swept aside Pakistan with a tremendous performance. Pakistan did manage to bounce back after that defeat to India. Pakistan beat England, Sri Lanka and South Africa to make it to the final. And finally, beat the finalist India. So everything is square at the moment. If you want to view more matches like the ones Hotstar has already broadcasted then make sure you make use of the Hotstar app to catch all the action. 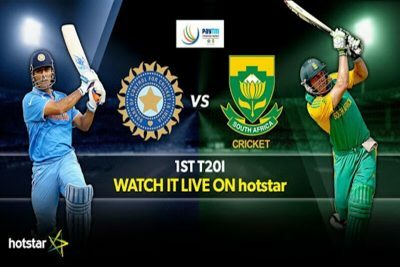 The Hotstar app will enable you to watch all the live action. And that includes match highlights along with updates regarding all the big tournaments such as the Champions trophy. You can’t watch tournaments such as the Champions Trophy if you don’t live in India though. So the only way to watch Hotstar outside India is with a VPN. With a VPN you will have no trouble in entertaining and mesmerizing yourself with premium Hotstar content. A VPN will unblock Hotstar and remove all geo-restrictions to other streaming sites no matter where you are in the world. All that live action isn’t going to wait for you or anyone for long. Watch everything from Pakistan vs India to Manchester United vs Real Madrid only on Hotstar. Take advantage of Hotstar mobile apps and desktop software application. Get an account with a premium VPN service and then install that as quickly as you can on your favorite streaming device. Just like before, connect to an Indian VPN server and you are all set. Make a successful connection and then access all Hotstar content along with an interrupted streaming events of the biggest games in sports such as Pakistan vs India and Chelsea vs Liverpool. Star India has hit the jackpot as far as quality and quantity is concerned. Maybe you are more interested in the latest IPL season rather than the Champions League Trophy. Well, Hotstar has that for you as well. The Indian Premier League started off as the best T20 league in the world. And it is still considered as one of the best in the world. To make sure you catch it on your TV screen, you must have access to Hotstar. People are already anticipating the winners of the next season of the Indian Premier League. Fans want to know which of the eight teams would make it to the final of the latest season of Indian Premier League. Remember, the 2017 IPL Twenty20 tournament will mark the tenth edition of the league. Sunrisers Hyderabad, the winners of the 2016 IPL, will host the opening match of IPL 2017. To catch all that action and more, tune in to Hotstar. Hotstar will offer actual live action along with updates and match highlights of all the matches taking place in IPL 2017. And it has exclusive rights to IPL as well. You will have to use the fantastic Hotstar app in order to get instant access to all IPL 2017 cricket matches. Hotstar will also bring you exclusive media coverage such as behind-the-scenes footage and match reviews. It will also provide its users with viral videos of all IPL 2017 teams. You can’t watch all of that if you were not in India. No catch-up services for you from Hotstar either. Because Hotstar doesn’t work outside India. Geo-restrictions will once again ensure that you never get to watch a single match of the IPL. That is if you try to watch Hotstar outside India. Fortunately for you, to bypass all these geo-restrictions and more to access Hotstar in a safe manner, all you need is a VPN service. We have already mentioned our pick, which is IPVanish, and the rest which you can try out if you want to. If you have installed a VPN app on your streaming device, then you can easily connect to a VPN server that is located in India. Once you have an Indian IP address, you can watch Hotstar outside India. And any day, from any place on the map. Even if you are in India and you find that you can’t watch Hotstar then you can use a VPN service to make sure someone isn’t blocking Hotstar in your region. And remember, sign up for a premium VPN service to make sure that you can smoothly experience HD streaming. What About Other Tournaments Such As Olympics on Hotstar? Hotstar is really that versatile. Sports fans who only want to watch the most popular athletic competition like Olympics can do so via Hotstar. In fact, Hotstar streamed the 2016 Olympics in Rio. Hotstar broadcasted the whole of the Olympics 2016 from August 5th, 2016 until August 21st, 2016 when the Olympics concluded. Media reports recently revealed that Hotstar broadcasted around 3000 hours of footage from Rio Olympics 2016. If you had Hotstar back then you would have consumed all that content live and in English. Or in Hinda depending on your preference. Moreover, if you lived in India, you would have no problems in watching Olympics on Hotstar for free. For those who don’t still don’t live in India, tough luck. Geo-restrictions are not going to leave you alone that easily. Even when it comes to a global event such as the Olympics. To watch all the live action from future Olympics events and more, you have to remove these irritating geo-restrictions. The best way to do that is to use a VPN service. A VPN service will annihilate all types of geo-restrictions. Including the ones that Netflix has put on its content. IPVanish, is again, the VPN server of our choice and you can sign up for IPVanish from the official website by clicking here. VPN service providers like IPVanish have dedicated VPN servers in India. These servers enable users just like you to watch Hotstar outside India from any corner of the globe. And that includes Olympics coverage. Hotstar is not just your average streaming service. It is the ultimate mobile entertainment platform. And its developers have made sure of the fact that they designed an app that catered to the appetite of all types of entertainment buffs. Hotstar content will suit other movie lovers along with crazy sports fans as well. Hotstar will provide you with coverage of all the major sporting events around the world. And it will augment that content library with TV shows and all the latest blockbuster movies. The official Hotstar app is no ordinary application. It comes with the best selection of content in the online world. The variety of options are really endless with the Hotstar app. Moreover, Windows users don’t even need to download the Hotstar app on their systems. Mobile users will have to though. They can just go to Google Play Store and download Hotstar app from there. The app itself is very user-friendly. It is also quick to install. You can install Hotstar Free Download App here if you are on Android. To download Hotstar Free Download App for iOS devices like iOS and iPad click here. If you are living outside India, Hotstar may not have the app available for you or in your region. That is why you must find a way to change your official app store’s location. To do that, you can use a VPN service. But don’t just go ahead and start doing it. Then turn off your location. That is, set the location parameter to OFF. After that, switch on the VPN service you have signed up for. Then connect to a VPN server that is located in India. It is better if you use the PPTP protocol. Now you should have no problems when trying to install Hotstar app outside India from the app store. Indian content fans and fans of high-quality content, in general, living in the USA can also enjoy Hotstar. And all its Bollywood on-demand videos that hopefully suit your taste. We hope some of them would. Hotstar will offer you the same content it offers to an Indian citizen. And if modern Bollywood movies are too vulgar or pointless for you then Hotstar also has some classical movies for you. You won’t have to search hard to find old movies with Dev Anand and Dilip Kumar at the top of their acting games. Want to see how Amitabh Bachchan acted in his heydays? Well, Hotstar is the place to see that. All while you sit in the US and enjoy other streaming services as well. Some users would want to watch other types of Indian content. 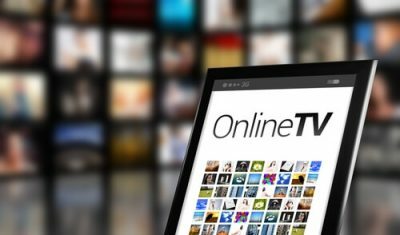 Hotstar will connect you with the latest episodes of all popular Indian TV shows if you live in India and subscribe to their premium service. Now, there are a ton of Indian TV shows. No doubt, you have to avoid some of them since they aren’t worth your time. But there are others that have great moral stories and historical backgrounds. A VPN service is all you need to watch them all in the US. Hotstar doesn’t leave out its fans in the UK either. Most viewers in the UK want sports. It doesn’t matter if you are obsessed with cricket or a movie lover. This Indian streaming service will take care of all your cricket live streaming needs. And for those who have time for the Oscars, Hotstar will accommodate them as well. It did telecast the 88th Academy Awards Ceremony in 2016. Star live has hit the jackpot with its streaming service that manages the live streaming part of online streaming so well. We don’t know of a major event that this streaming service doesn’t cover on a regular basis. With a premium account, a user can watch an unlimited amount of sporting events. They can catch up on all their previously missed TV content. Hotstar has hundreds of dramas on its roster. And each of these dramas has over a hundred episodes. This is perfect for users who want to binge-watch their favorite TV shows and movies. All you need is a VPN service. With a VPN service, you can watch Hotstar in the UK. Technology is advancing at a rapid pace. And this has benefited no one but the end users. They can no enjoy all their favorite movies, TV shows, and sporting events right from their smartphones and TV sets. Hotstar is one outlet for that entertainment. There aren’t too many streaming services that put this much content right in the palm of the user’s hands. It does come with geo-restrictions though. Just like every other streaming service. You will need a VPN service to get past those geo-restrictions. And watch Hotstar outside India. To experience all the benefits and online services from the comfort of your house, sign up for the premium account. That is the best way to enter the world of truly global entertainment with Hotstar. Thank you for the feedback. But please elaborate more so that we may solve your problem. I’m using NordVPN and able to access Hotstar BUT not premium content. When I try to view any premium show it gives me an error saying content not available in your region. Can you ensure that you changed your location before accessing the Hotstar app? And do you have a valid subscription to Hotstar? This is where we tell people to start being nice to their relatives/colleagues/friends in India. If that isn’t an option for you then go to Fiverr. People there will literally do anything for $5. i have used Expressvpn and manage to download Hotstar, for English premier league live streaming, do i need to sign up for premium content package? currently i am able to view videos under sports tab but as currently there are no live matches , i cant find out whether the account is enough for the live streaming when it starts. You will need to sign up for the premium content package. Moreover, you will need an English credit card system though sometimes, depending on luck, another country’s credit card information may work.